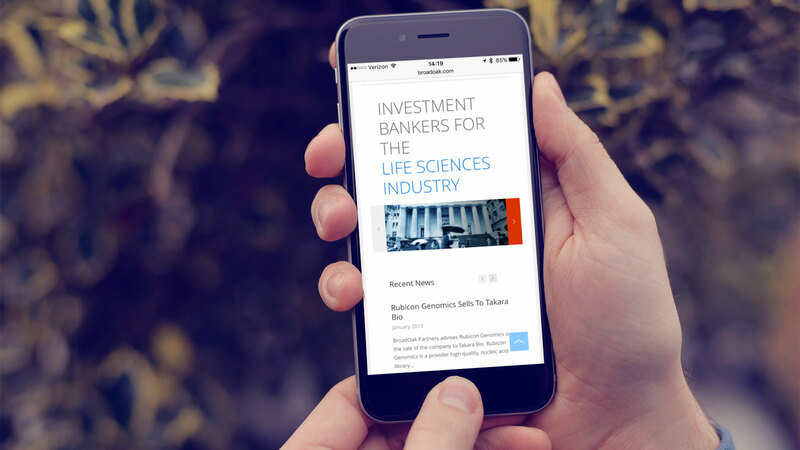 BroadOak, and its principals, are active investors in life sciences companies having participated in over 25 investments in the public and private markets. Having worked on BroadOak’s logo and website back in 2007 using the ‘tools’ of that time, we were tasked with revamping both the logo and website to be more modern and utilize the latest web standards for an overall better user experience. Relying on clean and lightweight grid systems makes coding a new site easier. Without limiting what you can do, it takes out some of the guesswork. Using the brand color palette developed for the identity system and logo, it was easy to add depth to the new site using the variations in tones and hues. The new site couldn't be forced into having a fixed number of columns across a whole page. It needed to be flexible to show an array of different content. Projected and real timeframes for the different phases of the project were met and completed on schedule and without a hitch. The New Face of BroadOak. We had proudly worked on BroadOak's previous website, but outdated and not utilizing the latest advancements in HTML and CSS, it was time to revamp the site and give it new life using the latest web standards available. Using responsive technology and scripting, the site was crafted to provide an optimal viewing experience—easy reading and navigation with a minimum of resizing, panning, and scrolling—across a wide range of devices. 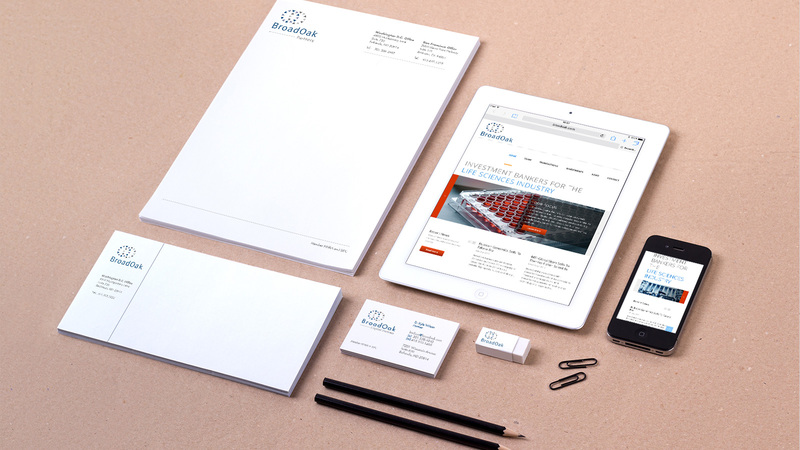 Starting with the logo and working through the print collateral and implementing it through the website and email marketing efforts, we developed a brand that was flexible and easily recognizable. 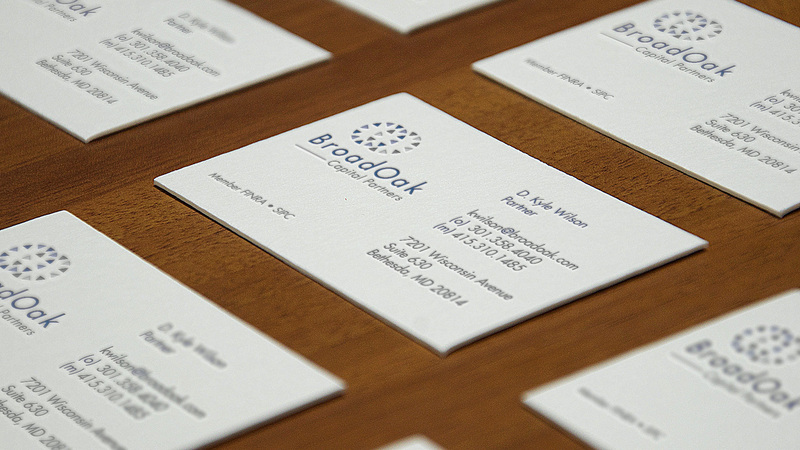 The logo lends a classic, timeless look that defines the solid reputation and experience of the BroadOak team. Having worked on our previous website, we knew we wanted to continue our relationship with Fred and New Wave Media. When the time came to revamp our web presence and modernize our needs we knew we could trust Fred to get us there with a modern, scalable site that got us noticed more effectively thanks to the SEO integration. The updated brand is fresh and engaging and has helped push BroadOak's message forward, energized by the new color palette and responsive coding of the website.